The success of its last flagship devices, the Infinix Note 4 and Note 4 Pro perhaps motivated Infinix Mobility Limited to bring on new devices. The smartphone giant is all set to roll out the drums for its latest device – the Infinix Note 5 Pro. The device alongside its smaller version, the Infinix Note 5 Pro had been making waves in the smartphone industry since the last quarter of 2017. Many had expected the devices to hit the market but it seems Infinix Mobility is taking its time to put finishing touches to the devices. It seems the time is near as the launch date for the Infinix Note 5 Pro draws near; it is pertinent to inundate you with some of its specifications. The Infinix Note 5 Pro is almost at par with the Note 5 in terms of specifications. Their differences however lie in key specifications. The Note 5 Pro will feature the latest dual rear cameras and a front camera as well. The device will feature a bezel-less design, a front fingerprint scanner and the X-pen stylus. It features a rather robust hardware than the Note 5; coming with a 4GB RAM and a 64GB internal storage. The Infinix Note 5 Pro will also spot the popular screen to body ratio of 18:9 and a 5,000 mAh Li-Polymer non-removable battery. Its battery is however expected to be bigger than the Note 5’s. Another impressive feature on the device is the Google Android One which will be re-introduced into Infinix devices starting with the Infinix Note 5 Pro and Note 5. The Infinix Note 5 Pro will be launched alongside the Infinix Note 5 and we’re looking forward to that. The Infinix Note 5 pro price in Nigeria ranges from N 84,000 to N 89,499 depending on where you make your purchase. The smartphone is available on top eCommerce sites in Nigeria. The release date of the Infinix Note 5 had been a topic of discussion for many months and till this moment, the actual date of its release remains unknown. Emerging reports state that the device might be released by the end of June 2018. It is already certain that the device will have a Global Launch slated for June 24 2018 in Dubai but the actual date for its release; especially to the Nigerian market is sketchy. The device will be released alongside the Note 5. Infinix Note 5 Pro will have the same design as the Infinix Note 4 such as a dual rear camera and bezel-less design. The front fingerprint scanner on the Note 4 will be replicated on the Note 5 Pro in addition to the X-pen stylus. Infinix Note 5 Pro also has a Corning Gorilla Glass 5 for its screen protection. Infinix Note 5 Pro will feature a screen to body ratio of 18:9 and a screen resolution of 1080 x 1920. The device will however have a higher screen inch and display size speculated to be about 6.2 inch and a pixel per inch density of over 400. In line with latest technology on smartphones that supports dual rear cameras, the Infinix Note 5 Pro will have the same. The device will feature a 16 Megapixel camera and a 5 Megapixel shooter in addition to a dual-tone LED flash. The front camera features an impressive 13 Megapixel and front flash. The front camera can solve your video calls and selfie needs. For a smartphone of its standing and packed with amazing features, it is pertinent that the Infinix Note 5 Pro device will have a big battery. The battery is likely to be above the 5, 000mAh found on the Note 5. The device’s battery is also powered by the impressive fast-charge technology which makes it possible to power the device in the shortest time. The hardware is among the key parts where the Infinix Note 5 Pro differs from the Infinix Note 5. There is the Deca-core processor from MediaTek to ease the use of the device. There is a 4GB RAM and a 64GB internal memory for your storage. 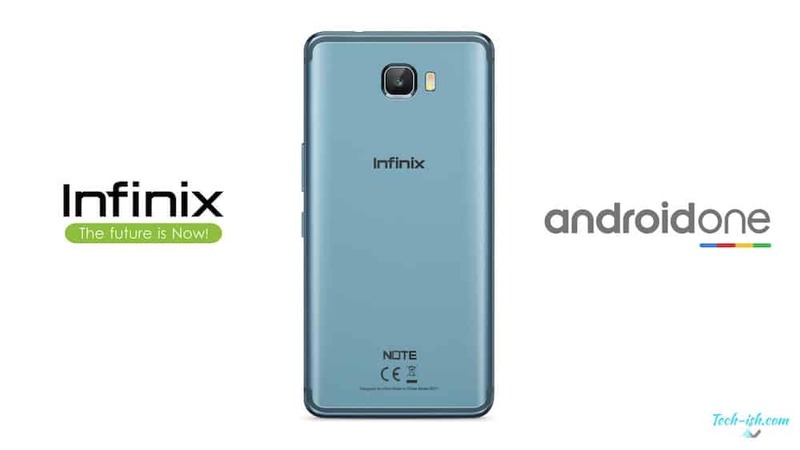 Infinix Note 5 Pro uses the 2G, 3G and 4G networks for its connectivity and also features a Type-C USB port. There is not much to say about the software as the device’s specifications are still scanty. However, it is certain the device will run on the Android 8.1 (Oreo) version. SIM Type: Dual Nano SIM cards. Here is a summary of Note 5 pro specs, including the Infinix Note 5’s Android 8.1, Octa Core 6GB RAM, 64GB ROM, Dual Rear Cameras, Touch Sensor, massive 5.98-inch display and 4350mAh battery. The Infinix Note 5 Pro is designed almost the same way as the Note 5. What differentiates it from the Note 5 is increment in its internal memory (up to 62GB), its cameras and battery. The device is expected to be released between June-August, 2018 but there are strong indications that it might be released before July 2018. The Infinix Note 5 Pro just like the Note 5 successfully re-introduced the Google Android One Project. The project is significant for its protection against malware in smartphones. Though its specifications and other information are sketchy, it was gathered that the Infinix Note 5 Pro might sell for $229 which is about N85, 000-N95, 000 in the Nigerian market.